High-cost lenders exploit laws tipped in their favor to sue tens of thousands of Americans every year. The result: A $1,000 loan grows to $40,000. A version of this story will be published in the St. Louis Post-Dispatch on Sunday. Five years ago, Naya Burks of St. Louis borrowed $1,000 from AmeriCash Loans. The money came at a steep price: She had to pay back $1,737 over six months. “I really needed the cash, and that was the only thing that I could think of doing at the time,” she said. The decision has hung over her life ever since. A single mother who works unpredictable hours at a chiropractor’s office, she made payments for a couple of months, then she defaulted. 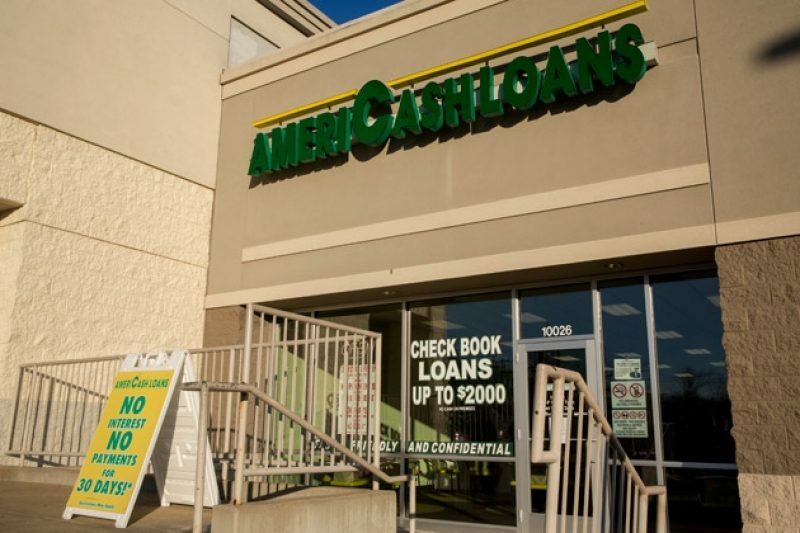 So AmeriCash sued her, a step that high-cost lenders – makers of payday, auto-title and installment loans – take against their customers tens of thousands of times each year. In just Missouri and Oklahoma, which have court databases that allow statewide searches, such lenders file more than 29,000 suits annually, according to a ProPublica analysis. ProPublica’s examination shows that the court system is often tipped in lenders’ favor, making lawsuits profitable for them while often dramatically increasing the cost of loans for borrowers. High-cost loans already come with annual interest rates ranging from about 30 percent to 400 percent or more. In some states, if a suit results in a judgment – the typical outcome – the debt can then continue to accrue at a high interest rate. In Missouri, there are no limits on such rates. Many states also allow lenders to charge borrowers for the cost of suing them, adding legal fees on top of the principal and interest they owe. One major lender routinely charges legal fees equal to one-third of the debt, even though it uses an in-house lawyer and such cases usually consist of filing routine paperwork. Borrowers, meanwhile, are rarely represented by an attorney. After a judgment, lenders can garnish borrowers’ wages or bank accounts in most states. Only four states prohibit wage garnishment for most debts, according to the National Consumer Law Center; in 20, lenders can seize up to one-quarter of borrowers’ paychecks. 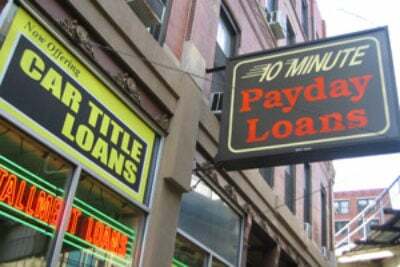 Since the average borrower who takes out a high-cost loan is already stretched to the limit, with annual income typically below $30,000, losing such a large portion of their pay “starts the whole downward spiral,” said Laura Frossard of Legal Aid Services of Oklahoma. How does a $1,000 loan turn into a $40,000 debt? It’s what can happen when high-cost lenders use the courts to collect. High-cost lenders frequently sue their customers. Since the beginning of 2009, high-cost lenders have filed more than 47,000 suits in Missouri and more than 95,000 suits in Oklahoma. When high-cost lenders sue, some states allow them to pile on extra costs – like charging borrowers for the cost of suing them. One major lender routinely charges legal fees equal to one-third of the debt, even though it uses an in-house lawyer. High-cost loans already come with steep interest rates. But in some states, small debts can continue to accrue interest even after a lawsuit is resolved. In Missouri, there are no limits on such rates – and that’s how a $1,000 loan turns into a $40,000 debt. The peril is not just financial. In Missouri and other states, debtors who don’t appear in court also risk arrest. As ProPublica has previously reported, the growth of high-cost lending has sparked battles across the country. In response to efforts to limit interest rates or otherwise prevent a cycle of debt, lenders have fought back with campaigns of their own and by transforming their products. Lenders argue their high rates are necessary if they are to be profitable and that the demand for their products is proof they provide a valuable service. When they file suit against their customers, they do so only as a last resort and always in compliance with state law, lenders contacted for this article said. After AmeriCash sued Burks in September 2008, she found her debt had grown to more than $4,000. She agreed to pay it back, bit by bit. If she didn’t, AmeriCash won the right to seize a portion of her pay. But those years of payments brought Burks no closer to resolving her debt. Missouri law allowed it to continue growing at the original interest rate of 240 percent – a tide that overwhelmed her small payments. So even as she paid, she plunged deeper and deeper into debt. By this year, that $1,000 loan Burks took out in 2008 had grown to a $40,000 debt, almost all of which was interest. After ProPublica submitted questions to AmeriCash about Burks’ case, however, the company quietly and without explanation filed a court declaration that Burks had completely repaid her debt. Had it not done so, Burks would have faced a stark choice: declare bankruptcy or make payments for the rest of her life. Appointed to Missouri’s associate circuit court in St. Louis last year by Gov. Jay Nixon, Judge Christopher McGraugh came to the bench with 25 years’ experience as an attorney in civil and criminal law. But, he said, “I was shocked” at the world of debt collection. As in Burks’ case, high-cost lenders in Missouri routinely ask courts to hand down judgments that allow loans to continue growing at the original interest rate. Initially, he refused, McGraugh said, because he feared that would doom debtors to years, if not a lifetime, of debt. But he got an earful from the creditors’ attorneys, he said, who argued that Missouri law was clear: The lender has an unambiguous right to obtain a post-judgment interest rate equal to that in the original contract. McGraugh studied the law and agreed: His hands were tied. Now, in situations where he sees a debt continuing to build despite years of payments by the debtor, the best he can do is urge the creditor to work with the debtor. “It’s extremely frustrating,” he said. Since the beginning of 2009, high-cost lenders have filed more than 47,000 suits in Missouri, according to a ProPublica analysis of state court records. In 2012, the suits amounted to 7 percent of all collections suits in the state. Missouri law allows lenders to charge unlimited interest rates, both when originating loans and after winning judgments. ProPublica analyzed court records in Missouri and Oklahoma to determine how many suits high-cost lenders filed from Jan. 1, 2009 through Sep. 30, 2013. We identified high-cost lenders who were licensed by the state and focused our analysis on companies that had two or more locations there. You can download our databases of court records by clicking on the state names below. Note: In Oklahoma, all of the listed lenders operate under various business names. Langley primarily operates as Courtesy Loans and Tower Loans (not affiliated with Tower Loan); World primarily operates as World Finance and Midwestern Loans; Ponca Finance operates as Yes Finance and Sure Finance, among others; and Tide Finance operates as Advance Loan Service and under several other names. Borrowers such as Burks often do not know how much they have paid on their debt or how much they owe. When creditors seek to garnish wages, the court orders are sent to debtors’ employers, which are responsible for deducting the required amount, but not to the debtors themselves. AmeriCash, for instance, was not required to send Burks any sort of statement after the garnishment began. She learned from a reporter how much she had paid – and how much she still owed. After AmeriCash’s deduction and another garnishment related to a student loan, Burks said she took home around $460 each week from her job. No court oversees the interest that creditors such as AmeriCash charge on post-judgment debts. 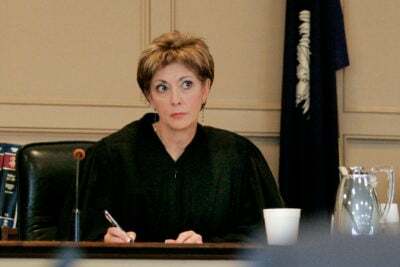 For instance, the judgment that Burks and an attorney for AmeriCash signed says that her debt will accrue at 9 percent interest annually. Instead, AmeriCash appears to have applied her contractual rate of 240 percent a year. AmeriCash, a private company based in a Chicago suburb, has five stores in Missouri, as well as 60 more across four other states. The company did not respond to repeated phone calls and emails about its practices. The firm’s attorney, Wally Pankowski of the Evans & Dixon law firm, declined to comment. Cases in which lawsuits led to exploding debts abound in Missouri, and ProPublica found examples involving several different lenders. Erica Hollins of St. Louis took out a $100 loan from Loan Express just before Christmas 2006. She soon fell behind on the payments, but instead of suing immediately, the company waited, the debt growing at 200 percent interest all the while. When the company sued two and a half years later, it received a judgment to collect on $913, including interest. Hollins sought legal help. Now she’s filed suit against the company, alleging it intentionally delayed suing so that her debt would multiply. The suit is ongoing. Not all lenders pursue as much as they are legally entitled to. Some lenders charge triple-digit rates in their contracts, but they lower the rate after receiving a judgment. Speedy Cash, for instance, has filed at least 9,382 lawsuits in Missouri over the past five years, more than any other high-cost lender, according to ProPublica’s analysis. It has six stores in the state, in addition to making loans online. Speedy Cash’s loans can be very expensive. A 2011 contract for a $400 loan, for instance, shows a 389 percent annual interest rate and total payments of $2,320 over a year and a half. On Oct. 22, 2007, Heights Finance won a judgment for $2,641 against a borrower. The annual interest rate charged on the debt was 42 percent. To date, the borrower, who works at a Holiday Inn Express, has paid $8,609 over six years. She still owes nearly $2,000. Heights Finance said in a statement that it abides by state law. On Feb. 3, 2003, Ponca Finance won a judgment for $462 against a borrower. After an initial garnishment reaped just short of that amount, eight years passed before the lender again garnished the borrower’s wages from a job at a waste management company. In total, the borrower paid $2,479 before the judgment was satisfied in late 2011. Ponca Finance declined to comment. On Oct. 16, 2008, World Finance won a judgment for $3,057 against a borrower. The annual interest rate charged on the debt was 54 percent. After five years of garnished payments totaling $6,359, the borrower paid off the balance. But when the company obtains a judgment against a borrower, Speedy Cash charges 9 percent interest, the rate set by Missouri law if the creditor does not specify a different rate. That’s “company policy,” said Thomas Steele, the company’s general counsel. Speedy Cash seems to be the exception, however. More commonly, lenders take advantage of their ability to pursue a higher interest rate after the judgment. Last year, Emily Wright managed a branch of Noble Finance, an installment lender in Sapulpa, Okla., a town just outside Tulsa. A major part of her job, she said, was suing her customers. When a borrower fell behind on a loan, Noble required a number of steps, Wright said. First, employees had to call late borrowers every day – at work, then at home, then on their cell phones – until they agreed to pay. If the person couldn’t be reached, the company called their friends and family, references listed on the loan application. Borrowers who did not respond to the phone barrage might receive a visit at home from a company employee, Wright said. If the borrower still did not produce payment, the company had a ready answer: suing. And for that, Noble rarely waited longer than two months after the borrower missed a payment. Waiting any longer could result in the employee being “written up or terminated,” she said. Every month, she remembered, her store filed 10 to 15 suits against its customers. Wright’s location was one of 32 in Oklahoma operated by Noble and its affiliated companies. Together, they have filed at least 16,834 lawsuits against their customers since the beginning of 2009, according to ProPublica’s analysis of Oklahoma court records, the most of any lender in the state. Such suits are common in Oklahoma: ProPublica tallied more than 95,000 suits by high-cost lenders in the past five years. The suits amounted to more than one-tenth of all collections suits in 2011, the last year for which statewide filing statistics are available. Anthony Gentry is president and chief executive of the privately held Noble and its affiliated companies, which operate more than 220 stores across 10 states under various business names. In a written response, he offered several reasons why his companies might sue more than other lenders. His companies focus on lending to customers who are “currently working,” he said, and therefore have wages that can be garnished under court orders. Under federal law, one-quarter of a person’s wages may be eligible for garnishment as long as they are above the threshold of $217.50 per week. (Federal benefits such as Social Security are off-limits.) Some states further restrict how much can be seized, but Oklahoma is not one of them. Wright, the former Noble employee, said she didn’t think the threat of lawsuits discouraged customers. “People are so desperate for money,” she said. Thousands of Oklahomans have been sued more than once by high-cost lenders in the past five years, according to ProPublica’s analysis. Some consumers have been sued repeatedly over a period of years. For example, ProPublica identified 11 borrowers who had each been sued at least nine times. One man and woman who live at the same address in rural Woodward County have been sued a total of 21 times. Attempts by ProPublica to reach them were unsuccessful. All but two of those suits were brought by subsidiaries of a single company, Ponca Finance. Ponca, which has filed at least 5,039 suits in Oklahoma in the past five years, declined to comment. Michael Matthews, a lawyer with Legal Aid Services of Oklahoma who works with clients in Woodward and other nearby rural counties, said he frequently sees people entangled in suits over delinquent high-cost loans. Often, the borrower doesn’t appear in court or respond to the suit. “It’s such an easy process” for the lender, he said. Wage garnishment can follow swiftly. Not appearing can pose a further danger, he said. Lenders can require borrowers to attend a hearing where they must declare what assets they have that may be eligible for garnishment. Borrowers who don’t show up can be declared in contempt of court, leading to a warrant for arrest. This is not unique to Oklahoma. 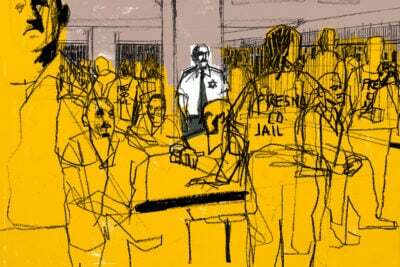 In 2012, the St. Louis Post-Dispatch reported that a similar chain of events had landed some Missourians in jail. Last year, Illinois modified its laws to make such warrants rarer. In Oklahoma, the outsized presence of high-cost lenders like Ponca is most striking in rural counties. Woodward County, for instance, has a population of about 20,000. High-cost lenders file about 400 suits there every year, accounting for more than one-third of all collections suits filed in the county court. Since the beginning of 2009, more than 1,300 different Woodward residents, more than 5 percent of the total population, have been sued at least once. Installment lenders like Ponca and Noble are responsible for the vast majority of suits by high-cost lenders in Oklahoma. State law allows annual interest rates on such loans to range above 200 percent. Not all installment lenders are equally aggressive, however. Some sued far less frequently than others, despite having dozens of locations in Oklahoma. A high number of suits might indicate a lender is relying on “aggressive collections methods rather than looking at a borrower’s reasonable ability to repay,” said Tom Feltner, director of financial services at the Consumer Federation of America. Gentry, the Noble executive, rejected the idea that his company might be doing a poor job of making sure his customers could make their payments. His company has operated for more than 30 years, he said, and would not have survived with sloppy underwriting. In Mississippi, the poorest state in the country, the largest installment lender is Tower Loan. Mississippi laws prevent installment lenders from charging the triple-digit rates common in some other states, but Tower has ways of magnifying the cost of borrowing. The company, for instance, packages expensive but nearly useless insurance with the loans and encourages its customers to renew their loans over and over – both common industry practices. On Oct. 24, 2006, Republic Finance won a judgment for $2,993 against a borrower. In early 2012, when the company moved to garnish the debtor’s wages, the balance had increased to $10,847, including $1782 in attorney fees, $1509 in court costs and $4136 in interest. Republic did not respond to a request for comment. On Nov. 20, 2008, Tower Loan won a judgment for $381 against a borrower. In July 2013, the company moved to garnish her wages and claimed the balance had grown to $3,253. The balance included attorney’s fees of $790. Attorney Fred Rogers, whose firm Rogers, Carter & Payne represented Tower in the suit, said that attorney’s fees are set by the judge. “Certainly it would have been a lot easier for the debtor just to pay” in the first place, he said. Tower said in a statement that it only sues as a last resort. The company’s ideal customer is someone “who can’t ever get out of debt,” said Josh Lewis, who worked at a Tower store in rural Yazoo County in 2010. For many borrowers, the cycle of debt ends with a lawsuit – and more profit for Tower. Tower commonly sues borrowers and obtains judgments that allow it to continue to charge more than 30 percent interest, court records show. In Hinds County, home to Jackson, the state capital, Tower has filed at least 3,235 suits since the beginning of 2009, according to a ProPublica analysis. That’s about half of all suits filed by high-cost lenders in the county during that time. But the company has found another way to make money through such judgments. According to Hinds County Court records, Tower often retains an attorney named John Tucker to represent it against delinquent borrowers. Tower sets his fees at one-third of the amount owed – a $3,000 debt would bring a $1,000 fee, for example – and asks courts to compel borrowers to pay Tucker for suing them. Tower only seeks Tucker’s fee when the borrower doesn’t raise a defense, making victory automatic, Priester said. In the rare case that a consumer contests one of Tower’s suits, Tucker is routinely replaced by another, outside attorney, who handles the case, court records show. Mississippi law allows lenders like Tower to define what’s “reasonable.” Other states cap attorney fees at far lower rates. Missouri, for instance, restricts them to 15 percent of the delinquent amount. Oklahoma caps them at 10 percent in most cases. Tower, which has a total of 181 locations across five states in the South and Midwest, also often sues its customers in Missouri. There, it filed more suits in the past five years than all but Speedy Cash, according to ProPublica’s analysis. Tower is owned by the publicly traded Prospect Capital Corp., which invests in more than 120 mid-sized companies across a range of industries. Among those companies are Speedy Cash and two other high-cost lenders. Mayeta Clark, Mike Tigas and Eric Sagara contributed to this report.